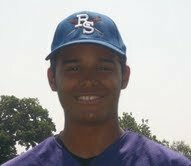 A tremendous athlete and baseball player, Coach Almonte was a star at Rising Star Baseball Camp before joining the staff in 2013. As a sophomore, Almonte started on the varsity team at New Rochelle HS and is known for his leadership skills, strong throwing arm, and defensive versatility. Coach Almonte is the oldest of five brothers, all who attend the camp.